A decent one, hard to think it is a Caol ila, not very peaty, may be a bunna. 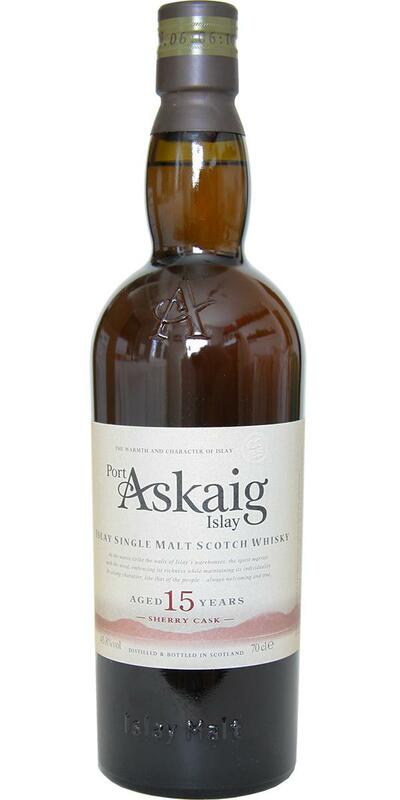 Certainly has a lot of sherry characters, dried fruits, modern style, sour barley, sweet, little smoke. Bonfire, dried fruits, the palate is sweet and a bit thin. Sweet orange, camphor, a touch of old leather and high esters. I like it well, despite the slightly dirty sounds that are not usually mine, it fits in here anyway). Very good alcohol. Starts with a light rubber note, slightly dull and slightly dirty. Fudge, sulfurized dried apricots, salty-maritime notes, lemon. Some dry smoke in the background. Tight. Starts silky, round, polished, balanced. Then he becomes more powerful. 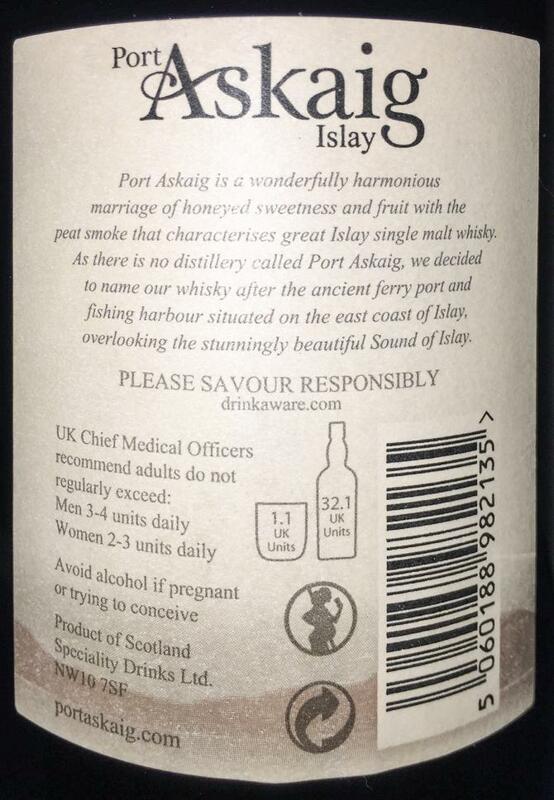 Clearly dry smoke, dunnage warehouse, peaty. Sweet. Nutty, sultanas, dried fruits, ginger. Good concentration. Again, the dry smoke and the peatiness, in between flashing fruity tones. Then sherry and dark chocolate. Dry, medium long, no bitterness. Water: No! it becomes quite thin with a little water, the sulfur note and the nose are more present, but the citrus notes are more effective. On the nose, fairly strong peat, citrus on yellow lemon and spices! On the palate, it is a syrupy citrus concentrate, waxy, limit also maderized, peat fat gives the impression of being chewed, it is strong in terms of flavors, almost tasteless alcohol level! In the final, it's rather short, it lacks relief! C: This is a funny malt, one that doesn’t speak of Bunnahabhain in general. Finishes with an ashy funk.Scores 83 points, the same as last year as it turns out. The nose is amazingly sweet and spicy. The taste is dominated only Muff and Moder with different wood tones. In the aftermath then comes a sulfur note to light which spoils me almost the desire for this sample. Fortunately, the sulfur disappears after a few moments and leaves a pleasant aroma of rotten wood and muff. The first sip flows relatively thinly over the tongue. Spicy wood and creamy fruit flavors caress the palate. Suddenly a burning sharpness develops on the tongue and then in the complete palate, a pinch of pepper and salt make the wood sharpness really burn and flare up. Wet and moldy wood comes to the fore, Muff and Moder now take command. 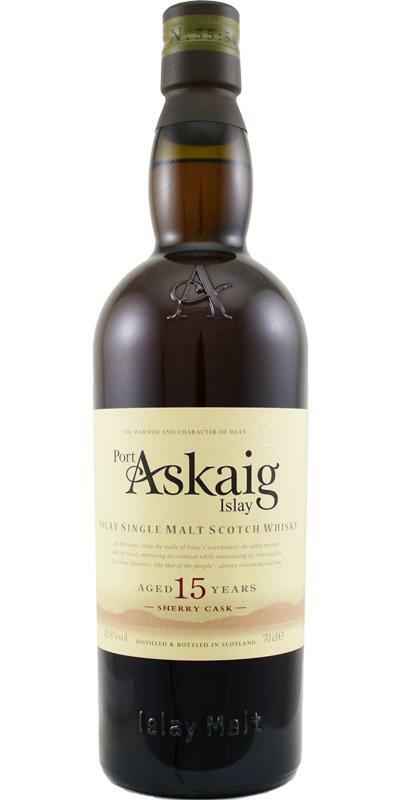 For a long time, the musty aroma is creamy and velvety on the palate, with tart and dry notes of wood. On the nose there is an incredible amount of sweet sherry. Dark fruits, some sweet honey, really nice. 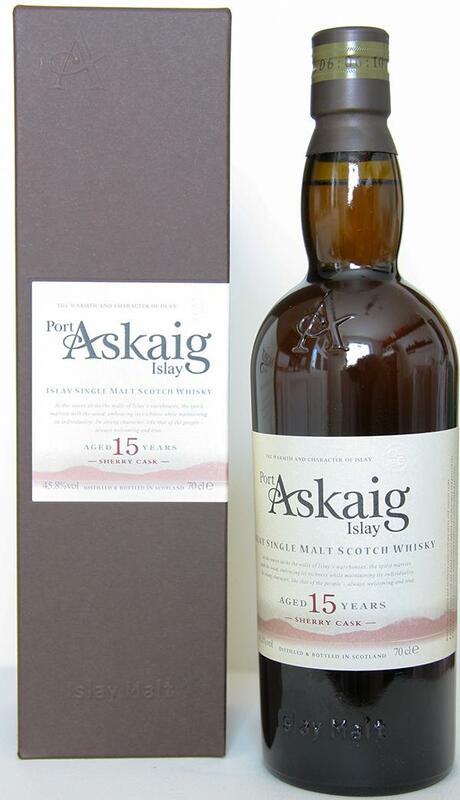 On the palate the dry saltiness kicks in togheter with a lot of peat. The finish is all right. Not overly long, just fine. That was really unexpected, a well done combination of sherry and peat. Slightly smoky, sherry milk chocolate, vanilla, raisins, dried red and dark fruits (hints of tropical fruits), hazelnuts, caramel. Sherry, some nuty smoke, salt, dried red and dark fruits, chocolate, some mocha, hints of hazelnuts. Medium to long. Sweet nutty smoky oak.